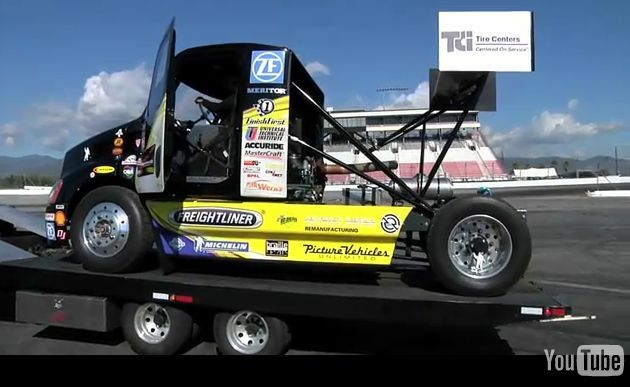 Pro Racer and Stunt Driver Mike Ryan shows Hot Rod Magazine his incredible Freightliner race truck. Mike is the 9 time class champion with this rig at the famous Pikes Peak Hill Climb. In this video he shows us that with enough skill and brute force, almost anything can drift. Check out the full 2 Wheel stunt feature in the next issue of Hot Rod Magazine...Go get one now!